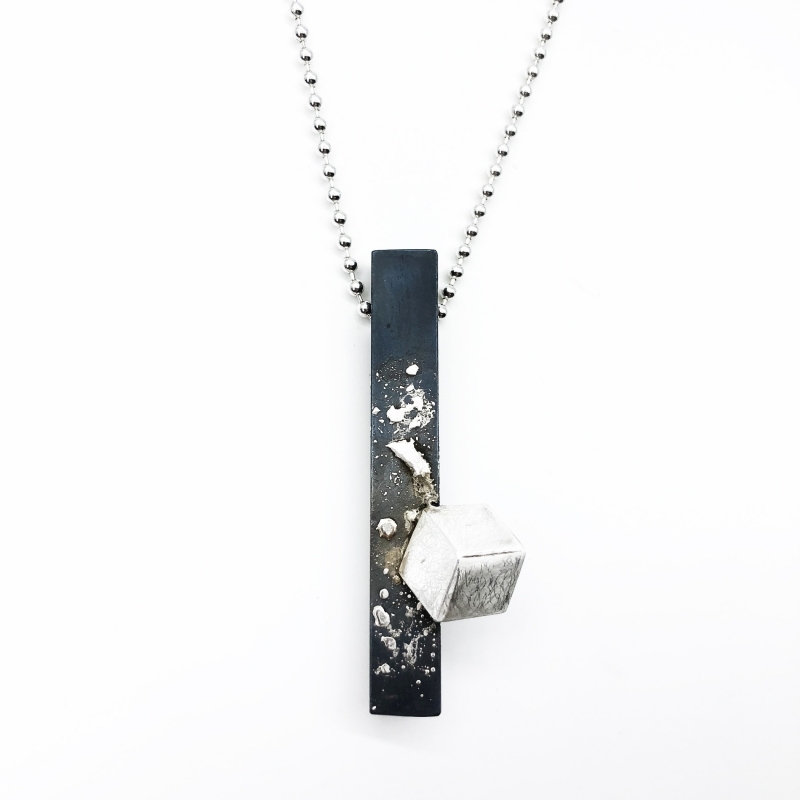 Hand formed and fabricated, the pendant/brooch is made from mild steel fused with a combination of fine gold and fine silver, with a sterling silver cube. The steel is oxidized, hand polished and protected with natural waxes. 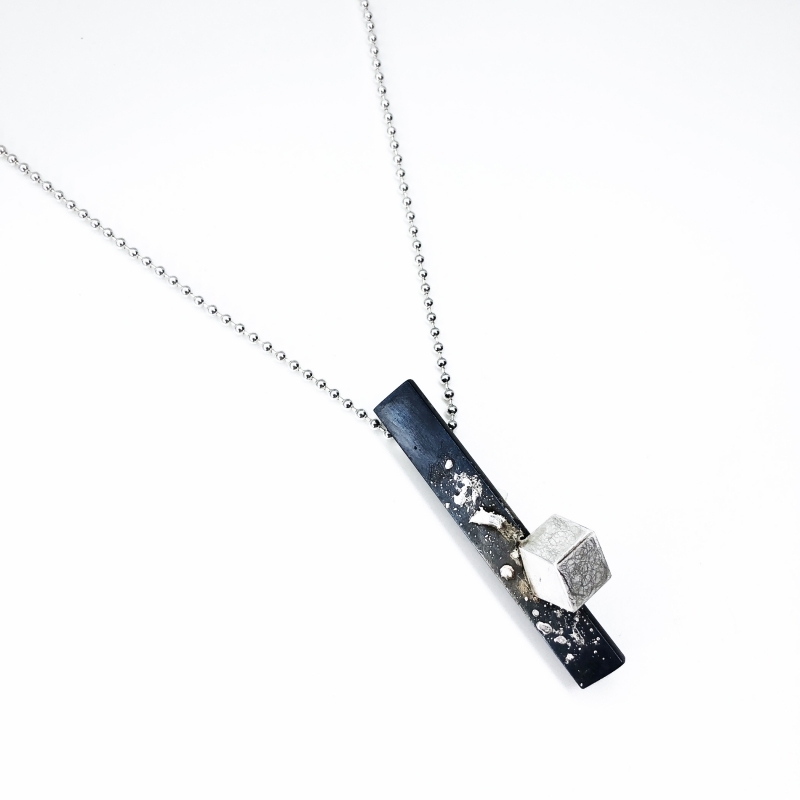 It comes with a 50 cm/20" length sterling silver necklace. 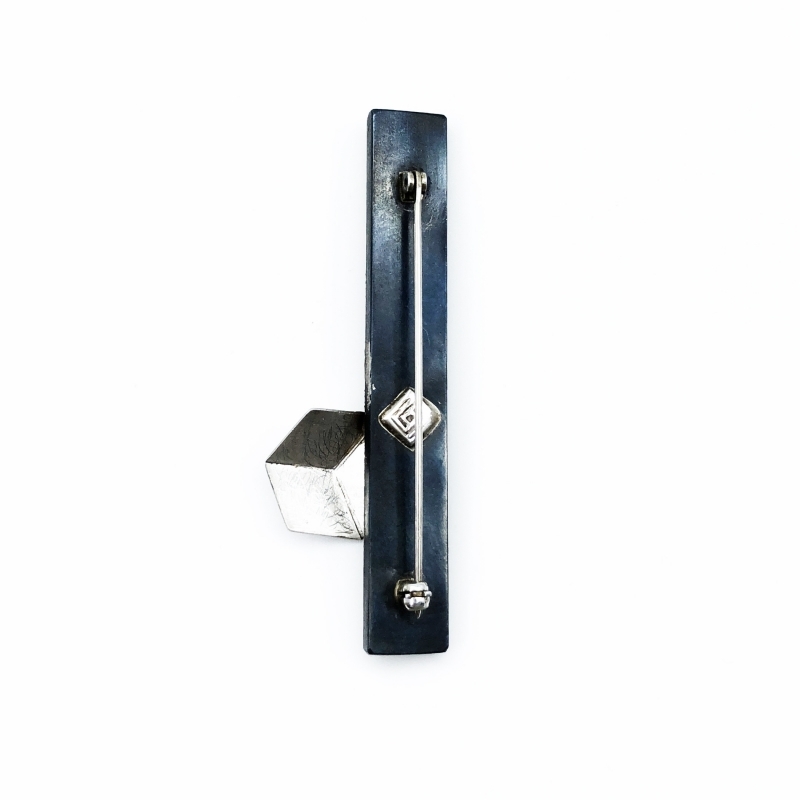 This A1A Cube can be used as a brooch or as a necklace, it has a modern look and can be worn with casual or formal wear. Every pendant/brooch is unique in shade and the pattern will vary slightly from the photograph. The piece can be worn as a pendant or a brooch. Measurements Chain Length: 50cm / 20” ; Pendant Length-Width: 6.4cm - 2cm / 2.5” - 0.8"